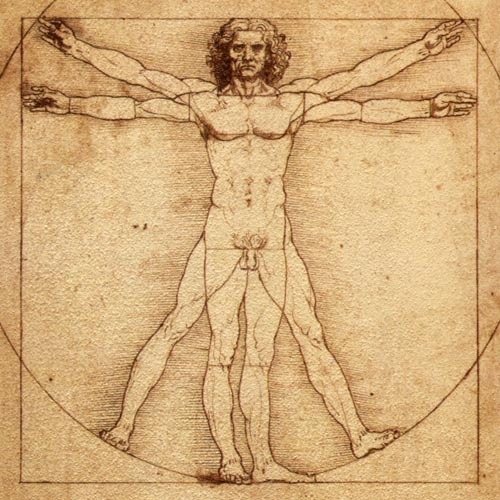 The Vitruvian Man. c. 1492. The painting by Leonardo da Vinci displays the spirit of scientific inquiry. The inquiry of Man must begin with investigation of Consciousness. What is Man? The motivation for asking this question comes from a statement expressed in Sanskrit language: “Sarvesham Swastir Bhavatu”, a statement which seeks the well-being of all humans, of all races, of all cultures, of all religions, and of all nations. The meaning and purpose of human life are affected by whatever we think is the real or true nature of man. But, more importantly, our efforts to support the well-being of Man would require correct understanding and knowledge of the real or true Man. Consciousness is the biological characteristic of Life or of living matter and this functional attribute must be distinguished from ‘Mind’, the chief organ of Sense Perception( such as vision, hearing, taste, smell, and touch ), the seat of thoughts, feelings, moods, cravings, emotional states, dreams, intellect, and self-pride. Knowledge about Self begins with Consciousness and not as sense experience. 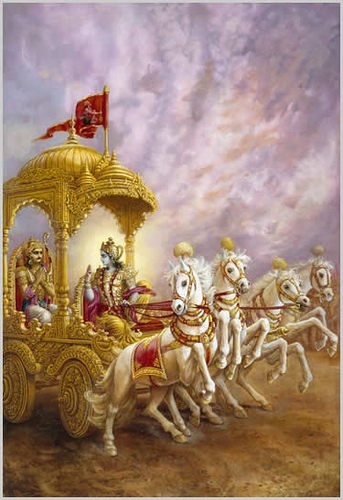 In the Divine Song of the Lord known as the Bhagavad Gita, Chapter X, Vibhuti-Vistara Yoga, The Opulence of The Absolute, verse 22, Lord God Krishna states: “Indriyanam Manah, bhutanam asmi Chetana.” The Divine is associated with the attribute called Mind, the chief organ of Sense Perception and other mental functions; and among all living entities the Divine is associated with the function known as Chetana or Consciousness. “INDRIYANAM MANAH, BHUTANAM ASMI CHETANA” – MIND AND CONSCIOUSNESS: I would like to propose The Theory of Consciousness to explain the Spiritual nature of Consciousness which is stated in the Divine Song known as the Bhagavad Gita. Human Mind and its uniqueness as an organ of Sense Perception( such as vision, hearing, taste, smell, and touch ), the seat of thoughts, dreams, emotions, desires and cravings, intellect, and self-pride represents operation of a divine attribute, or of divine potency. The Human Mind is not an attribute that is shared by all living entities. The biological attribute that is shared by all living entities is known as Consciousness. The contents of Consciousness would help us to identify Consciousness as the following: 1. Consciousness is a mental experience, 2. Consciousness is a sense experience, 3. Consciousness is a homeostatic experience, 4. Consciousness is a social experience, 5. Consciousness is a moral experience, and 6. Consciousness is a spiritual experience. These various aspects of Consciousness could be verified by examining the features of Man that identify him as a Physical, Mental, Social, Moral, and Spiritual being. At a fundamental level, the role of Consciousness in a living organism relates to its ability to acquire energy from its external environment. A living cell is conscious or aware of its energy dependent existence in the given environment. The nature of conditioned existence that involves dependence upon continuous supply of energy from an external source is the essential, or primary content of Consciousness. In the human organism, the cells of the gastrointestinal tract are primarily involved in energy acquisition. The cells of the brain are not involved in primary energy acquisition. The cells of the human gastrointestinal tract have the awareness or Consciousness of the substances present in the digestive tract, they recognize the presence and nature of specific molecules, and interact with them in selective manners either to absorb or reject those substances for the benefit of the entire human organism. Hence, The Theory of Consciousness that I propose would define Consciousness as the spiritual mechanism to support the living organism to maintain its living functions. 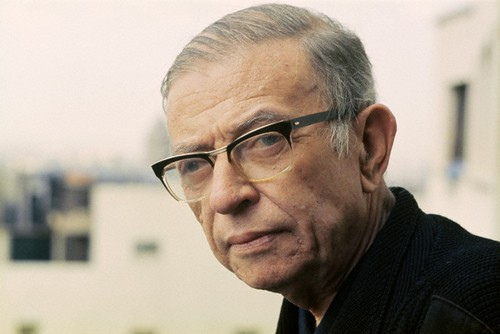 It would be helpful to understand the difference between Spirituality and the Philosophy of Existentialism shared by Jean Paul Sartre. The Man described by Sartre “exists” in his thoughts, feelings, and consciousness that is viewed as a mental or psychological function. The ‘Consciousness’ described by Sartre is not the Essence of a Substance and he thought of it as ‘Nothingness’. I describe a Man who exists in the physical world because of his Consciousness which is the functional characteristic of Man’s corporeal substance and this functional mechanism is operated by Spirit or Soul, the vital, animating Principle that brings human essence and existence to come together. In this proposition, “I am Consciousness”, the subject known as “I am” is related to an object or an idea described as “Consciousness.” The truth or reality of a relationship or correspondence between the subject and its object could be verified. The subject is the entire human organism consisting of trillions of individual cells which function as tissues and organ systems of the human body. The subject “I am” cannot be merely defined as a single, individual, specific organ like brain or entity called mind. The functional relationship between the subject and the object operates and involves the activities of the entire organism and not limited to the activities of brain, or mind. The body organ called brain has no independent existence of its own. Brain and its neuronal structures, tissues, and cells need energy to sustain their metabolic functions and activities. The process, the mechanism, and the power by which a living cell acquires energy to perform its living functions is called ‘Nutrition’. Consciousness is the awareness of energy dependent existence in a given external environment. Consciousness is the biological characteristic of all living cells irrespective of their functional adaptation, functional differentiation, functional subordination and identification as specific organs or tissues such as brain and nerves. The idea or object called “Consciousness” is fundamentally related to the subject called “I am” both at the level of the entire or Whole Organism and at the level of individual living cells that constitute the Organism. Hence, Spirituality could be stated as potency of the subject called “I am” who is associated with the object called “Consciousness” to maintain his own existence and living functions.